The 2015-16 season is going to be a huge measuring stick for the Flyers, however, the reason may surprise you. The Flyers are unlikely to be serious contenders for the Stanley Cup, but they do have a core group of forwards that should be champing at the bit to have breakout seasons. General manager Ron Hextall is still in the process of evaluating these players, but this year will reveal a lot of questions about the future of this team. Here are some players that are poised for those breakouts. If you have ever been around Philadelphia or Flyers fans in general, you will quickly realize that Brayden Schenn catches a ton critique in this town. Let’s just put in to context where he is at in his career. 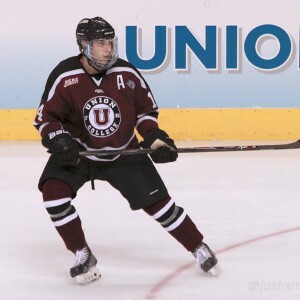 Schenn broke into the NHL when he was 20-years old (he played in nine NHL games the two years beforehand). That year was the 2011-12 season, and he played in 54 games for the big club, tallying 18 points. Since that season, Schenn’s point production has steadily increased each season. In fact, in his first full season with the club (lockout-shortened 2012-13), he had 26 points, which would have put him on pace for about 50 in an 82-game season. To put that into perspective, Claude Giroux posted 47 in his first full season as a Flyer, when he was a year older than Schenn, and his team also went to the Cup Final; Schenn’s didn’t make the playoffs. That is why this season is a huge measuring stick for Schenn. 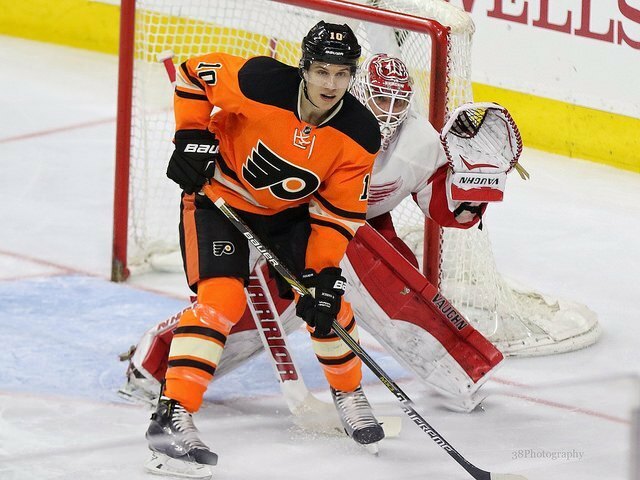 There have been plenty of questions surrounding Schenn’s production. Maybe it’s because he was a highly touted prospect; maybe it’s because he is producing at an average rate right now, who knows? It’s somewhat of a mystery where he fits, but what we do know is that Schenn will have ample opportunity under the new coach. The acquisition of Sam Gagner should work to benefit Schenn in the long run. Gagner has already demonstrated a willingness to play on the wing. 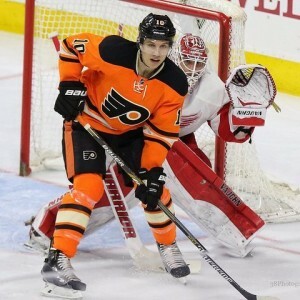 Schenn has already shown us that he struggles to adapt to the position, being a natural-born center. This is huge, not only for Schenn, but the team as a whole. In case anyone forgot, the Flyers severely struggled to find chemistry among their lines last season. Aside from Giroux and Voracek, lines were being juggled nearly every other night, and it was reflected in the lack of production. You may also remember, the Flyers’ first power-play unit was unstoppable. That unit consisted of Giroux, Simmonds and Voracek (among others). That trio could be a carbon copy of what a line of Gagner, Schenn and Simmonds could do. Gagner possesses a similar style of play as Giroux – finesse, finding the open man and great hands at times. Schenn possess a style of play similar to Voracek – gritty, but has a great shot and knows how to get himself open. If Simmonds meshes well enough with Giroux and Voracek, it’s hard to imagine a line with Schenn and Gagner wouldn’t work (to a lesser extent, of course). There’s also one more huge factor in that. Schenn would be back at center. All of these factors are aligned, and that means it’s Schenn’s time to show Philadelphia what he can really do. Voracek had his breakout season at 25 and Giroux at 24; Schenn will turn 24 in just a few days. This year will show Flyers fans what type of player he is really poised to be. Sean Couturier found his way into this article mainly to calm the worries of Flyer fans, although this season very well could define his future. For the record, at just 22-years of age, Couturier is well ahead of his time. He came into the league in 2011-12, scored a hat trick in the Stanley Cup playoffs, and shutting down one of the biggest offense threats in the NHL, as an 18-year old. So many players are solely focused on offense and scoring in today’s NHL, that finding a defensive-minded center, who can actually put up points, is something that is extremely rare. Still, Couturier hasn’t gone without extensive criticism. That seems to be the common rhetoric when conversation points toward the young center. Even former coach Craig Berube chimed in with some uneducated comments about Couturier’s style of play. First of all, the Flyers got Sean Couturier for a bargain. At 22-years old, his defensive game along with his offensive game is comparable to Patrice Bergeron, who is widely considered the best defensive forward in the NHL. However, their cap hits are not nearly comparable. The Flyers pay Couturier a fourth of what the Bruins pay Bergeron. Keep in mind who Bergeron plays alongside, and then look at who Couturier plays alongside. Couturier played with two of the worst defensive forwards on the Flyers. These two also happened to be less than impressive offensively, as well. Couturier still managed 39 points. That in itself is a miracle. I mentioned a few months ago that Couturier was underrated and overcriticized. That statement still stands true. If Couturier even gets a small improvement in the quality of his linemates, his offensive production could go way up. He may need this to happen to win some fans over, but in the mean time, at just 22-years old, Couturier has played well above his age. This season won’t define him as a defensive player, but he could certainly prove that he is a threat offensively, as well. It may surprise you to see Gostisbehere’s name rounding out this article, but he is probably more poised to breakout than anyone else on the Flyers. That’s an odd statement considering he’s only played two games in an NHL uniform. The achilles heel of the Flyers is without question their defense. With the exception of Michael Del Zotto, none of them performed at a level that would be anywhere near a playoff team last season. They had their moments, but for the most part, they were bailed out by the outstanding play of Steve Mason. That is the reason why Gostisbehere has a huge opportunity sitting right in front of him. Just to refresh your memory, this is the man who finished with a goal, two assists, and a plus-7 in the NCAA National Championship game. It’s unlikely that Gostisbehere will play a full season with the Flyers, especially given the fact that they acquired Russian defenseman Yevgeni Medvedev, but that’s not to say Gostisbehere can’t leave a mark. The Flyer’s have been severely missing a good offensive defenseman for an extended amount of time. Del Zotto is the closest thing they have to that right now, but Gostisbehere could be a whole different ballgame. ‘Ghost,’ as they refer to him, is small, but extremely fast, and can score some pretty goals. Save one for the lethal shot he has. That is something the Flyers will surely welcome with open arms. 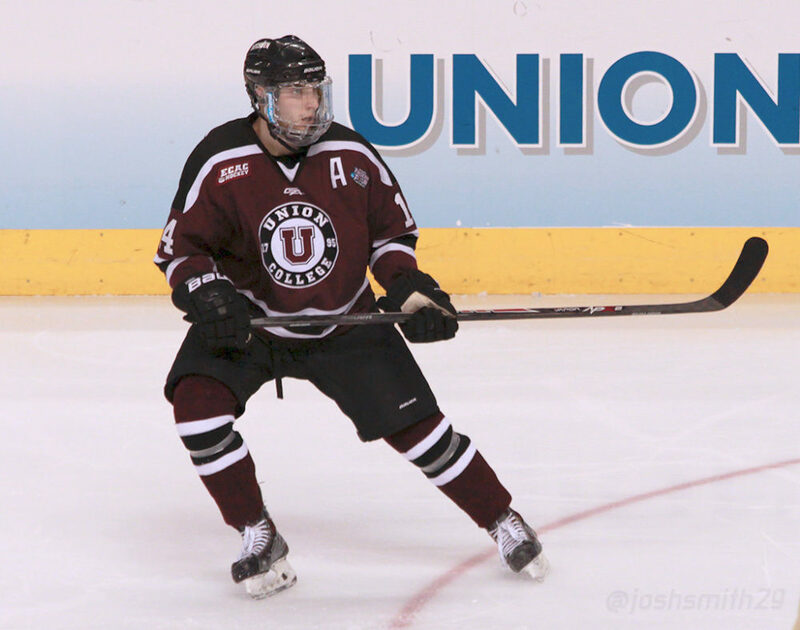 He may not be a mainstay next season, but he certainly has the opportunity to be the first prospect to bring that new dynamic to the blue line in Philadelphia.